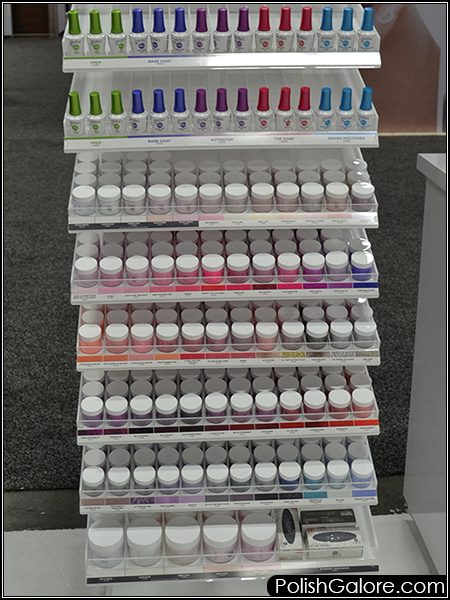 Cosmoprof North America was a BLAST! On top of seeing some of my favorite bloggers, I also got to meet with some of my favorite brands, as well as meet some new ones! It's always a pleasure to head out to Las Vegas for a few days to see all things beauty. This year was bigger than ever. In all, 36,787 attendees,(up 9 % from 2016) engaged with a record breaking 1,278 exhibitors (up 9% from 2016), representing 45 countries. The show floor space covered 293,306 sqf (27,249 sqm) of space with an increase of of 4% compared to the previous year. In addition to the now standard DISCOVER BEAUTY and DISCOVER BEAUTY SPOTLIGHTS, there was also a nice showing from TONES OF BEAUTY (multi-cultural beauty brands) and a much larger DISCOVER GREEN (organic beauty) and the popular DISCOVER SCENT (perfume brands). 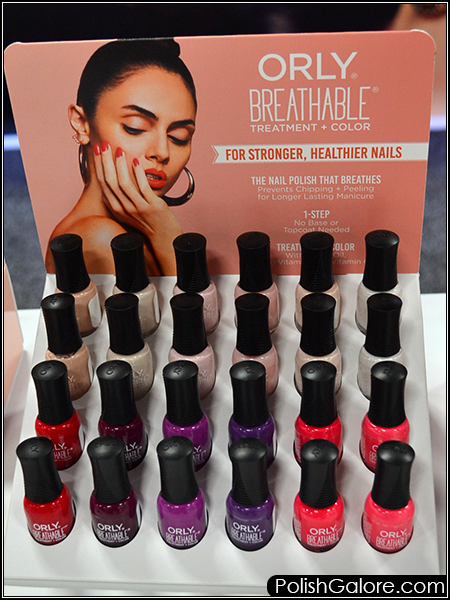 Brand new to this year's show was DISCOVER GREEN LEAF where organic brands met with key specialty retailers and chain spas and DISCOVER BEAUTY PRO where select companies met with key national distributors like ULTA and SalonCentric. Also expanded this year was the Boutique area where attendees could create their own beauty box (which I did) and they were able to raise over $18,426 for the PBA Foundation (up 30% from 2016!). Also the Glamour Me section allowed attendees to try products first hand, although I didn't try one this year. In 2016, I had a manicure done with ORLY Breathable, if you remember. Here's a few more highlights of things I saw and definitely be on the look out as I slowly make my way through reviewing everything! The European market for ORLY has been increasingly asking for smaller sized "mini" bottles of polish due to the limited space that some salons, spas, and even consumers have available to them. ORLY seized the opportunity to cater to that market with their new mini bottles. 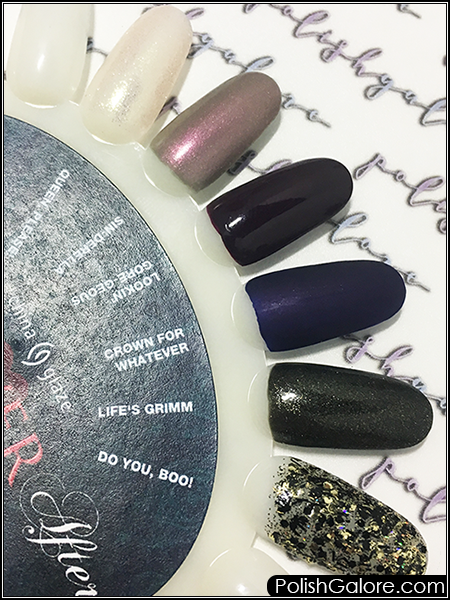 China Glaze had a sneak peek for bloggers including the Halloween 2017 collection called "Happily NEVER After". I'm eternally cackling at names like "Do You, Boo!" and "Sin-derella". Color Club had tons of new items that I was just drooling over. I can't find them in stores but was told to just buy off their website. 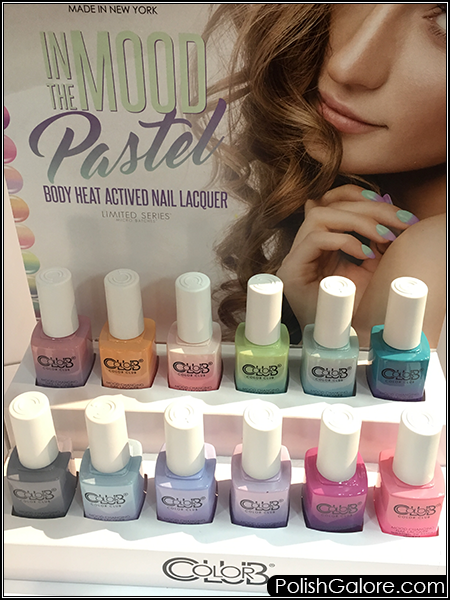 It may be worth it with the In The Mood pastel collection. 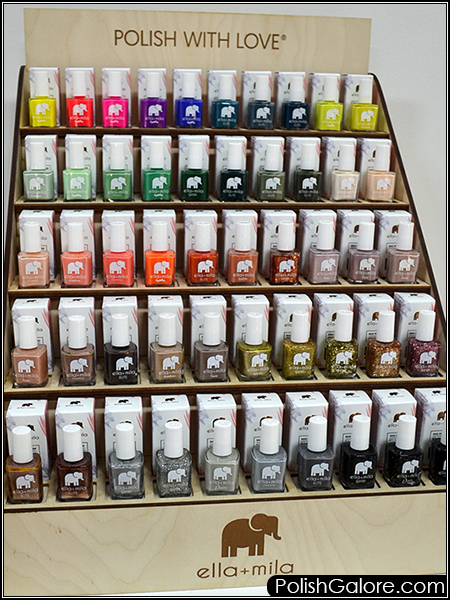 It's a body heat activated color changing lacquer that's also available in gel and HELLO look at those bottles! 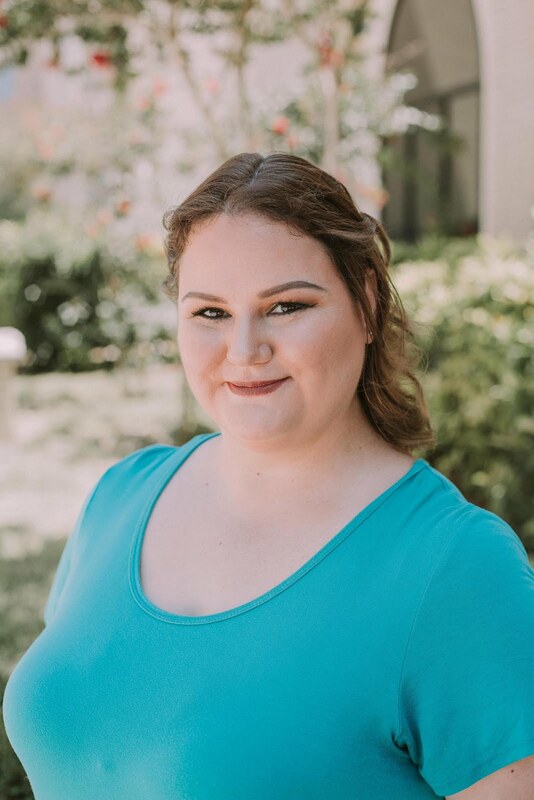 Oddly, I've been following Color Clutch since 2014 when they did a giveaway with NCLA, but this year I got to actually meet the creator, Katharine and I was there when she was awarded a Trendsetter Award! More to come on this brand, including a review soon! 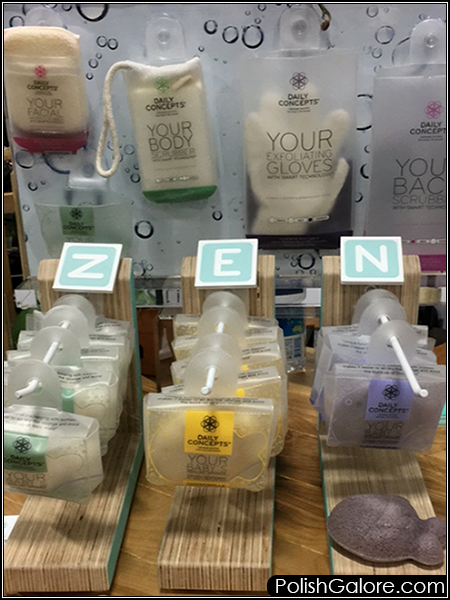 I met Daily Concepts at Cosmoprof years ago and after trying their exfoliating gloves, I fell in love with the line. As a beauty blogger, I get bombarded with TONS of products but I was absolutely OBSESSED with this green line of products and have bought them over and over not just for me but my husband is obsessed with the back scrubber! The line of baby sponges just launched (the fish at the bottom) and I got one for the youngest member of our family to play with soon. Le Chat is back with an all new look for their Date to Wear line. 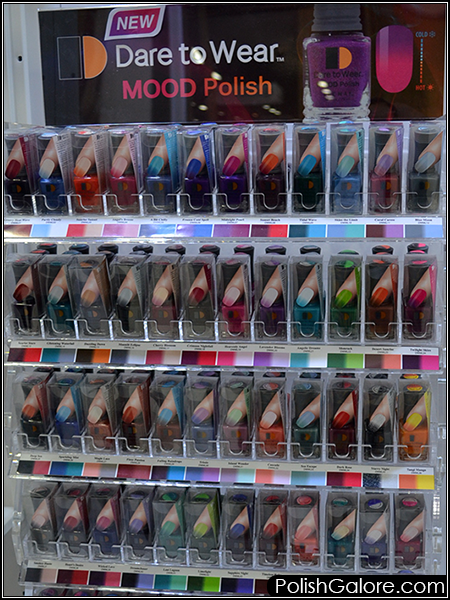 The new packaging is much more visual and this line of mood polish is again, up my alley! What is it about mood polish that makes me happy? What's old is new again! The other major thing at Cosmoprof this year were dip powder systems. 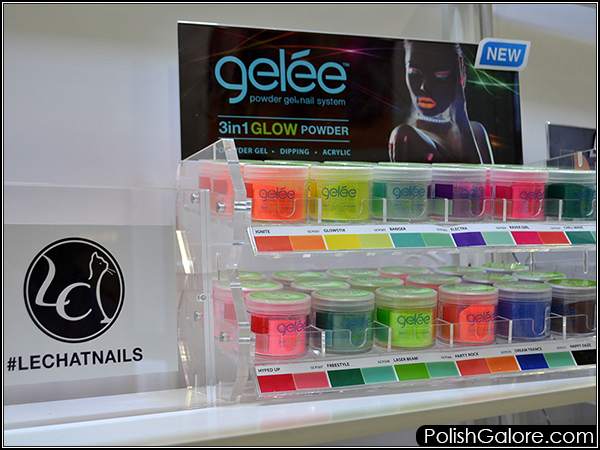 Did you know that LeChat Nails started with gelee - a powder gel nail system? You can use this product as a powder gel, a dipping powder or mix with acrylic! And these glow powders are SO bright. It's only available for professionals BUT LeChat just launched a brand new e-commerce site for professionals AND consumers! One of my last stand outs was ella + mila who were in Discover Beauty. I have always been attracted to the clean lines of this brand but now they have released lip colors as well! Some matte, some glossy - but all pigmented. More to come on that soon. This was just a handful of the brands I got to sit down with and chat about their lines. I literally have a bag here at my desk with more information, products and samples to try. Be sure to stay tuned for #MakeupMonday where I'll be featuring some unique finds from the show!